Hope all of you are well today! As for me, I’m a mixture of excitement, hopefulness, and plenty of anxiety. 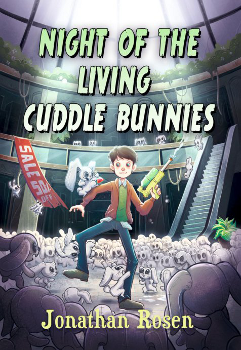 For those of you who haven’t been paying attention, or even for those who have, I’m here to tell you that my book, Night of the Living Cuddle Bunnies, comes out TOMORROW! 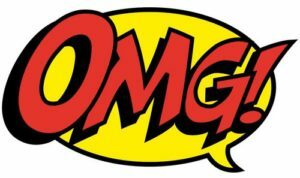 Like, seriously, OMG! Sorry, I wanted to appeal to the tween readers, in a language that they’d understand. But, in truth, I’m feeling very much, that way. I can’t believe that after all this time, what I started working on, almost three years ago, will finally be out in the world. I know there are some who roll their eyes and say about me or any author, “They’re posting about that again?” Well, I get it. Honestly, I do. There’s a fine line between necessary self-promotion and too much. And even authors feel, almost embarrassed to be posting about their books. Okay, some do. But, you’re all going to have to bear with me this week. It’s been such a long road to get here, and I want to savor every moment. From the years of rejections, to the times of agonizingly, near-misses, to finally, acceptance and breakthrough. It’s been a lot of work and struggle. People who don’t write, don’t realize the amount of effort that goes into it. Thankfully, I’ve been fortunate enough to have such a strong community of writers, either surrounding me, or virtually, who have all endured similar experiences, and have made it easy to commiserate with, as well as, support each other. As far as this book, it’ll always be special to me. For many reasons. The obvious one, is that it’s the book that finally broke me through to the promised land. As I said, I’d been so painfully close before then, that it was made all the sweeter, when it finally happened. I vividly remember the elation that I felt when I received the phone call. To say that I was stunned, is putting it very mildly. I didn’t know who to tell first, and was even scared to tell anyone at all, since it didn’t feel real and I didn’t want to jinx it. Thankfully, I got over silly superstition and managed to start informing people. The next reason is far more personal. You see, this book was completed during the last year of my dad’s life. He had been suffering from cancer for a long time, until it finally consumed him. Believe me, it’s tough to write “funny” when that’s going on. But, my dad had a great sense of humor and looking at the funny was how I was raised. Also, he’d always wanted to write a book, but never got to it. It was one of his dreams. So, he always asked how it was going with me. He was intrigued by the process and had been proud that I was actually doing it, and that helped. It almost felt, like it was an extension of him. 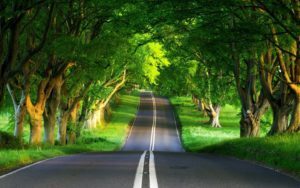 Unfortunately, his last few months, he started not comprehending things any longer. When I told him that I got an agent, he said he was happy for me, but I knew he wasn’t really understanding what that meant. Shortly after that, he passed away. Amazingly enough, a couple of months after that, I found out that I had an offer and signed the contract. I was beyond thrilled, but felt sad that I never got to tell my dad that it had finally happened. I mean, I went to the cemetery and told him. 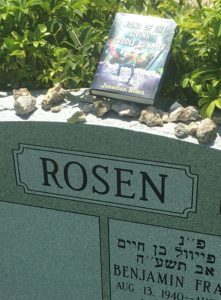 On the anniversary of his passing, which was coincidentally the same time as his birth-date, I was able to go there and show him the finished product. Yes, it was bittersweet, but I was still happy that he got to see, up close. And, while I’m proud of the finished book, and feel it’s very funny, it’ll always feel like something more, to me. Whether it sells a million copies or just one, I’ll know that I managed to fulfill a dream, and maybe, even two. 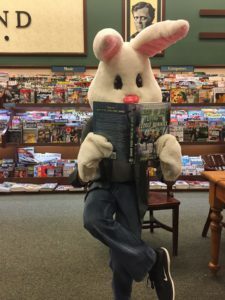 I’ll always associate Night of the Living Cuddle Bunnies with that time. So, while I’m sure there are some of you who are tired of hearing about it, this week is mine. Next week, I’m sure, it’ll start to lessen, and the week after that, even more. But, this week, you’re going to have to grin and bear it. I thank every one of you for indulging me, and for the generosity and friendship shown by everyone who has helped with this. From words of encouragement, to sharing posts, leaving reviews, and genuine excitement for me, it was very much appreciated. Tomorrow, will be the culmination of all of it. Everything that has happened to me, the last three years, comes true tomorrow, when I unleash Night of the Living Cuddle Bunnies into the world. Again, thank you, and I truly, hope you enjoy it.